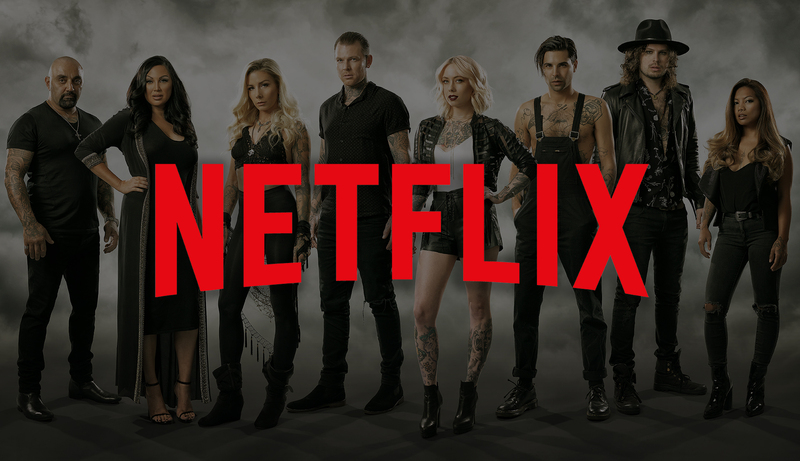 Australian production company Unbreakable International is thrilled to announce that streaming giant Netflix has purchased the first two seasons of Bondi Ink Tattoo Crew. The program is now accessible via the Netflix platform in 49 countries including Angola, Argentina, Aruba, Austria, Belgium, Belize, Brazil, Bulgaria, Canada, Chile, Colombia, Croatia, Cyprus, Czech Republic, Denmark, Dominican Republic, Ecuador, El Salvador, Estonia, Finland, France, Germany, Hungary, Iceland, India, Indonesia, Kazakhstan, Kenya, Latvia, Lithuania, Malaysia, Mexico, Netherlands, New Zealand, Nigeria, Norway, Pakistan, Peru, Philippines, Russi, Serbia, Slovakia, Slovenia, South Afric, Spain, Sweden, Trinidad and Tobago, Ukraine, United States. Joined by industry superstar Megan Massacre, the crew of a premier tattoo shop in Australia must contend with clients, celebs and creative quarrels. Watch the season two preview below.